Want to win 2 days in one of the world’s best recording studios? Box Hill Institute and Sing Sing Studios are giving away free time in there amazing world class facility. To enter to win $2400 worth of studio time in one of the country’s best recording studios, simply enter your information below. Box Hill Institute is Australia’s leading contemporary music educator. Box Hill boasts a 40+ year history in music education, Australia’s best music facilities and most diverse range of music courses. Click the link below to explore our courses and see where so many of Australia’s best music professionals have learned there craft. Competition Closes: 5pm Friday 15th Jan 2019. Competition Drawn: 5pm Monday 18th Jan 2019. View the full Terms & Conditions. 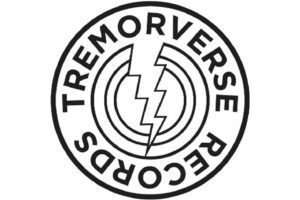 Tremorverse Records is an independent record label based in Melbourne. It runs in partnership with Box Hill Institute and Sing Sing East Recording Studios. The label provides unique opportunities for Box Hill Institute’s students, including those enrolled in music & music business, to experience the inner workings of a commercial record label up close and personal while studying.